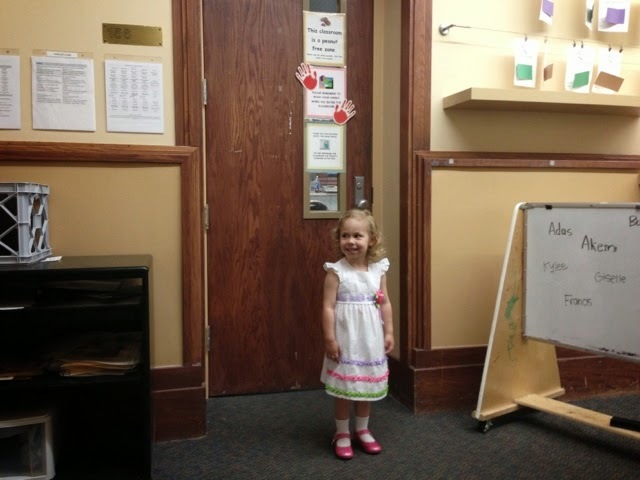 Today was Victoria's last day of preschool. 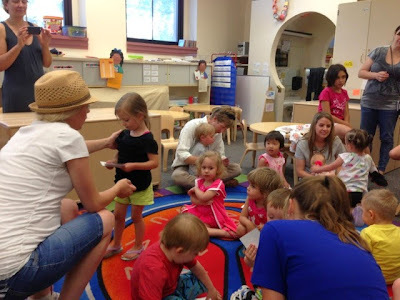 This was her first year of school, and to say that she loved it would be an understatement. She would ask to go to school every morning, even on the weekends. Her amazing teachers and wonderful classmates made all the difference. 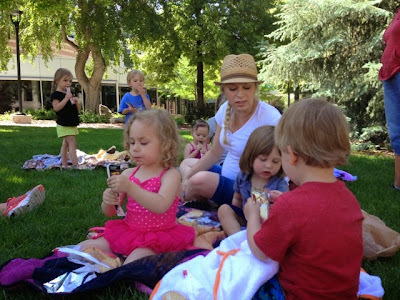 I still remember Victoria as this bald, tiny 15 month-old pushing Bertrand's wheelchair to the bus stop, and how she would cry as he left, begging to go to school with him. Even though I wanted to keep my baby longer, Victoria thought she was ready. She was right. She never ceases to amaze me. 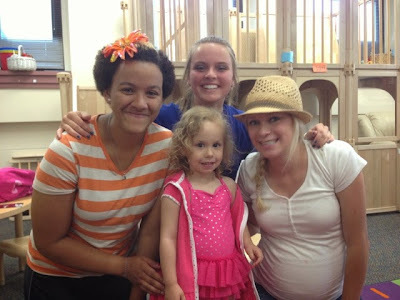 Lady V with her wonderful teachers Zoie, Kelsee, and Kim. Patiently waiting for her special letter and photos. 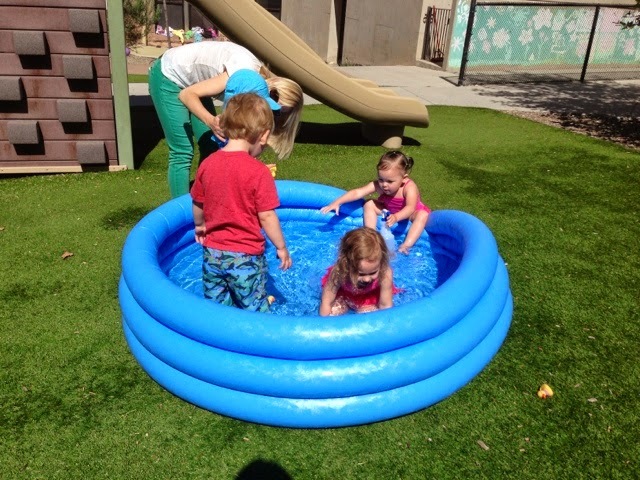 Playing in a pool as a special start-of-summer treat. Wearing her special dress from Abuelita and shoes from Titi Lili. 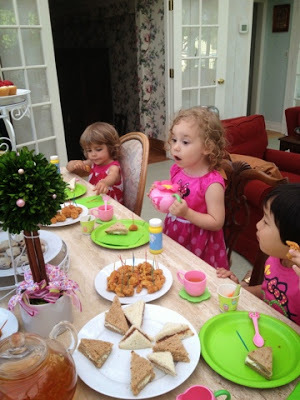 For weeks, Victoria had been begging to have a tea party with her "best friends" from school. 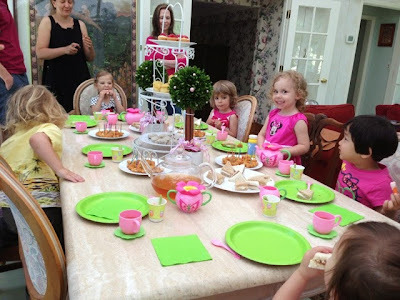 So, in an act of pre-labor mommy-guilt, we invited her entire class over for an after school lunch/tea party to celebrate the last week of school. Funny aside: Victoria planned the menu, helped to cook/prepare several of the courses, and set the table "all by herself". 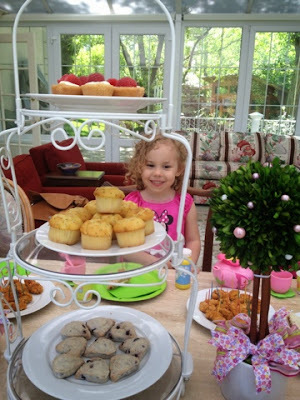 But by far her proudest accomplishment (that she relayed to all of her guests) was that she washed all of the tea cups and flatware! 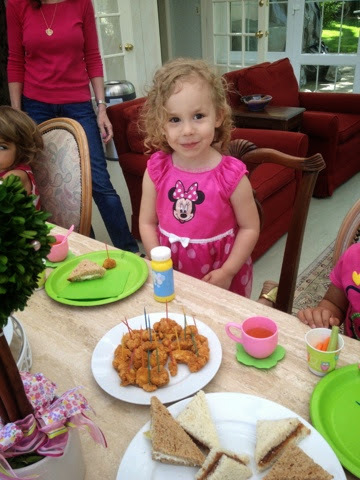 It took me a long while to figure out why that would be more impressive than her tasty mini-tarts or place settings. Although we involve Victoria in cooking and setting the table regularly, Matthew and I are a "dishwasher" people. Victoria has been taught to simply put her dishes in the dishwasher but we have never actually hand-washed dishes with her! Yikes. I guess there will be more dishwashing in her and (unfortunately) my future.